What you do with your baby in the first months and years rings down through the decades into their adulthood. If, when they get there, they can open themselves to give and receive love, and at the same time stay strong and independent, then we have succeeded. That task, upon which all human happiness is based, is elusive. It starts with an inner core of security put there by parents and carers and is consolidated by layers of lovingness, consideration, compassion and empathy nurtured by repeated experience and example. It’s easy to push your children into being like you, but better. It’s harder and takes more discipline and restraint to make your children the best version of themselves. The book starts with the lead-up to entering labour ward, and continues to the birth itself and the big arrival; then it moves onward to the postnatal ward where all the little worries surface about your newcomer and the changes that seem to happen hour by hour. There is a ‘quick guide’ to carry you through these first few days, answering all the little and big questions that crop up. A lot of the questions in this period are about breastfeeding, so there is also an easy-to-read, but comprehensive, chapter on this. There is also general baby information – the things that all new parents need to know. Then, for when the baby gets a little older, there’s a section on getting babies to sleep, or sleep longer – the overriding concern of parents worldwide – and a lot on the crying infant. I’m also concerned about feeding and food for infants and kids. That’s the next chapter. It also includes healthy recipes for kids. Over the years a few mothers have asked me for suggestions about how they should play with their infants of various ages. There is a section for them. There is also a toddler section for all of those parents who find that stage ‘a bit of a challenge’, which is the majority of us. There is a chapter written just for fathers, demonstrating how important they are to their children and how their influence changes their lives. Finally, over the years I have seen so many mothers lose themselves in their parenting, both to their own and their baby’s detriment. It is easy to do and the wider community encourages it. It doesn’t have to be that way. We describe how that might be avoided. In stores from 1st August 2014! 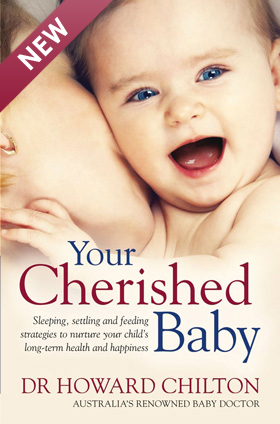 Note: Your Cherished Baby will be available first in stores and on our publisher’s website. In May 2015 we’ll be selling it from this website. Watch this space! 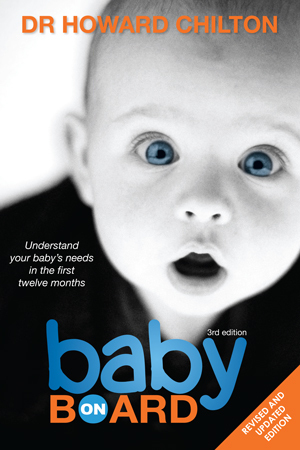 Accessible, authoritative and compassionate, Your Cherished Baby is the essential guide to giving your child the best possible start in life.